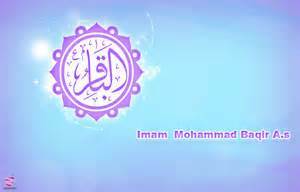 SHAFAQNA – Imam Baqir (AS) told Mohammad Ibn Moslem: When a believer repents (to God), his/her previous sins are forgiven; so, he/she must act (in the path of God) after repenting; but beware, swear to God, this advantage is only for those who believe. Mohammad Ibn Moslem asked: What happens if after repenting, he/she commits sin, and then repents? Imam Baqir (AS) replied: Do you think if a believing servant regrets his/her sin and repents, God does not accept his/her repentance? Moslem replied: He/she has repeated this a few times, commits sin and then repents. Imam (AS) said: Whenever a servant of God returns with repentance, Allah (SWT) will return with mercy and forgiveness; God is merciful and forgiving; accepts forgiveness and forgives sins. Imam (AS) continued: Sometimes the human being commits a sin and God for the sake of that sin takes him/her to heaven. Imam (AS) was asked: Does God take him/her to heaven because of the sin? Imam Baqir (AS) replied: Yes, he/she commits sin, but always is angry with himself/herself, and God also forgives him/her and takes him/her to heaven. Of course this must be known that if a person commits bad deeds all his/her life, and then at the time of death say: I repented, his/her repentance will not be accepted (Ayah 1, Surah Nisa) . Porseman Magazine, August 2009, Number 80.
https://en.shafaqna.com/wp-content/uploads/2019/01/imam-baqer2.jpg 192 300 hamrang https://en.shafaqna.com/wp-content/uploads/2018/10/new-logo-s-en-fine.png hamrang2019-01-31 10:49:082019-01-31 10:49:08How sins are forgiven?